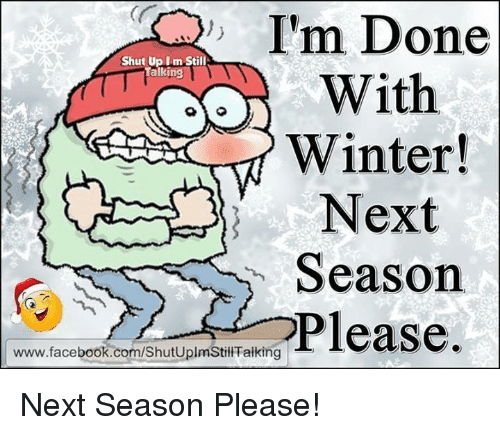 When we talk of winter all we want is how cold is the weather or how chilly is the wind. This is true for the rest of the world, but for the gulf residents! Indeed. It is a different saga here in Gulf region in the period called winter. 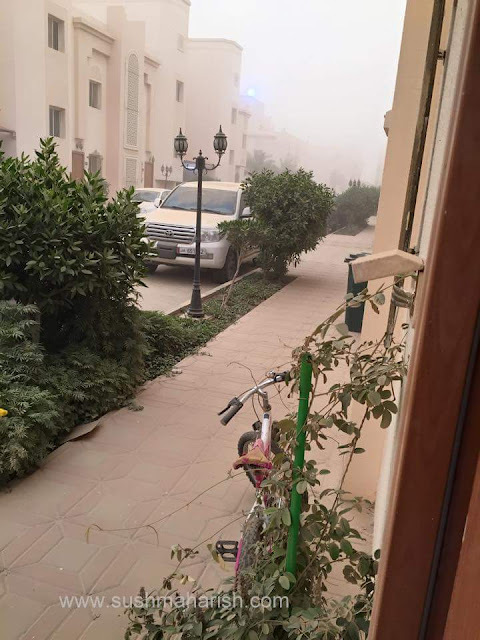 Yes, we experience the bone-chilling cold, and added to it witness episodes of some extremely erratic dust storms, and some unpredictable down pour. 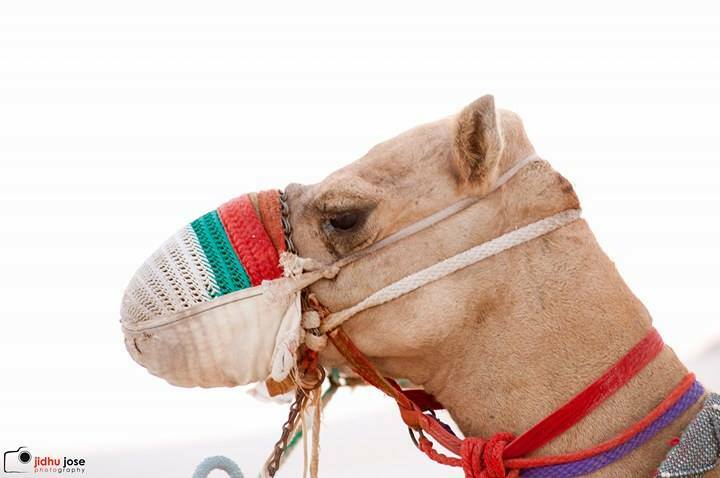 Doha's winter sonata comes in a package of take one get two free. 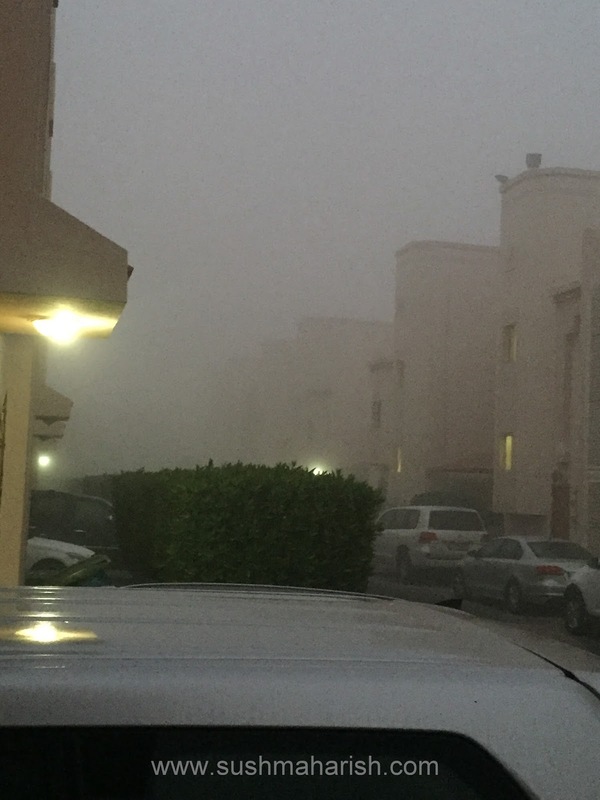 Entire Qatar went gaga over the temperature dropping each day this winter. All the residents walked proudly with chest widened to 56". Guess why? It was quite an experience after a decade to see a temperature recorded less than 10 degree Celsius in this sand land. We residents in Qatar love wrapping ourselves in full clothes and cover our head with scarfs even in summer, to save our skin from scorching heat. 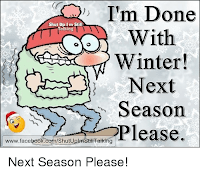 But every winter we simply wait to say "too cold man, too cold ". The cold desert went hot in excitement. I was reminded of my Bangalore days. Even on a coldest morning at 5AM, with teeth chattering, I had the audacity to walk tall with only a cotton salwar suit and wrap my head with the "dupatta". Wrap myself in wool? No way! I was a proud manipalite( I hail from Manipal) and we do not buy or wear wool or leather jackets in our life unless it is a visit to Kashmir or to London. Indeed, it is true that the winter has it's own charm. 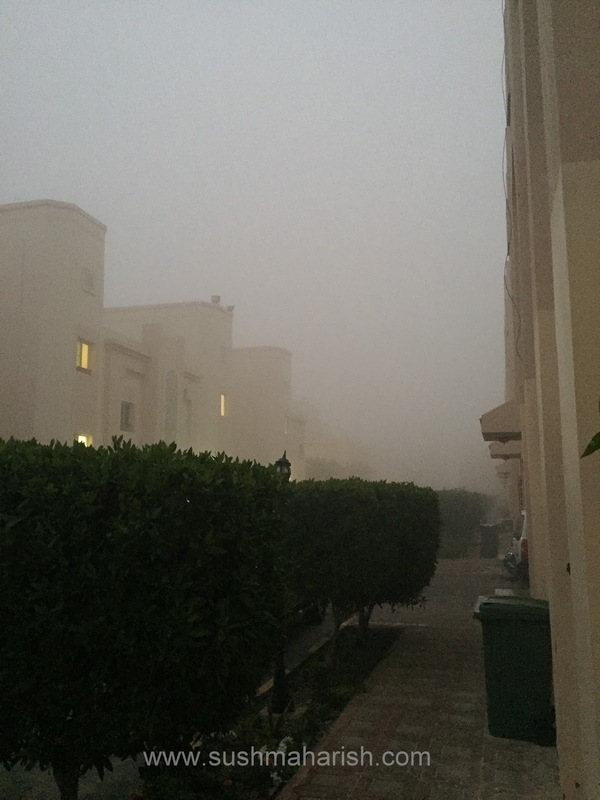 Now, we Qatar residents, most times, give ourselves a Switzerland feel, by just uttering "wow it's getting colder today". The meteorological department had it's own announcement and we had our own agenda for the "too cold man" season. If you figure our the number of cars and headlights behind the fog, don't tell me. I have no clue too. Social media flooded with super duper photography of fog shot from different heights and angles. My girl gave a superb comment " The sun is lost in Qatar. If anybody finds it please DO NOT return". And the viral humour and memes! Especially where people said "Dear Rajanikanth please close the door of your refrigerator, it's too cold here, even here...". But Doha had to request Rajanikanth not to close the doors though. Hell yeah. We literally shivered to tingling spine, yet wanted the change from the parched summer. And some even told "dear temperature bohoth gir chuke ho aur kitna giroge?" At once all the malls and boutiques flooded with winter clothing in all colours, sizes, shapes, from different parts of the world. Nah, we do not buy "made in china". We went to expensive boutiques to find winter attire, matching beanie and those boots that our legs never heard of. Barbecue! That was once the party galore and roosters wildest fear, now turned into our fire place for the surprise guest called winter. On every barbecue fire we would conduct the oath taking ceremony before we start decorated stand with multicoloured marinated roosters or veggies. Now, the Doha winters are not just all about fog, chill and beanie. Yes. For us the bonus "double dhamaka" is one free with another. The most awaited cloudbursts. We would almost be satisfied with some good drizzle too. Most parts of gulf sees good rain and few states see the solid form too. Oh! Snowing in the gelf too. 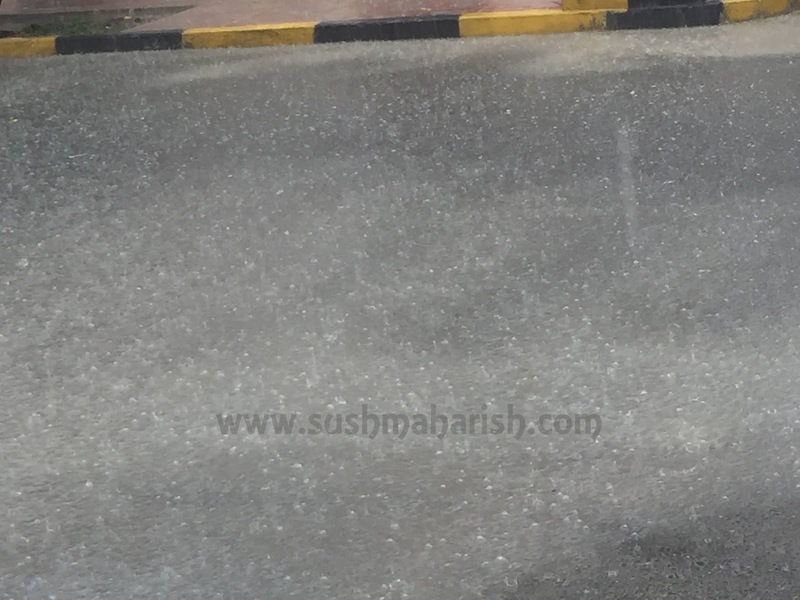 As for Doha we had enough windy rains to clog few roads, to blow a few roofs off and for us to term it "torrential downpour in the gulf". Who does not like rains? The earthy scent after a sky shower, smell of freshly bathed leaves in rains. 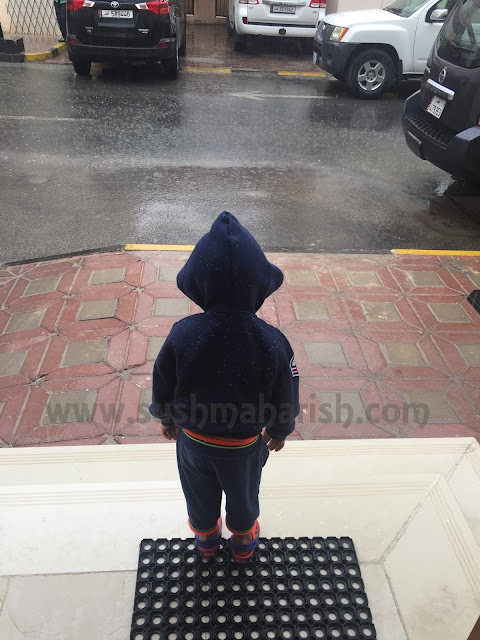 Trust me, in summers, I satisfy ourselves by sprinkling tap water through hose, in the porch of our villa, and enjoy the feel of a imaginary rain. Now, we are aware of erratic storms in winter, in different parts of the hill but one will dread the dust storms of the Arab land. And who would prefer a dust storm while we crave for the winds of the winter? Imagine a few hours and you feel a siliceous layer all over you and your lips taste of some forms of carbonate or rock salt. The worst is when you have to tidy up an entire house and car decked up with a coating of fine red sand. Dust clad front exteriors of my residence. However, after more than a decade's stay in Qatar, I have found solace in what is gifted to us on platter by mother nature. We have found a home away from sweet home after seeking the bread and butter. 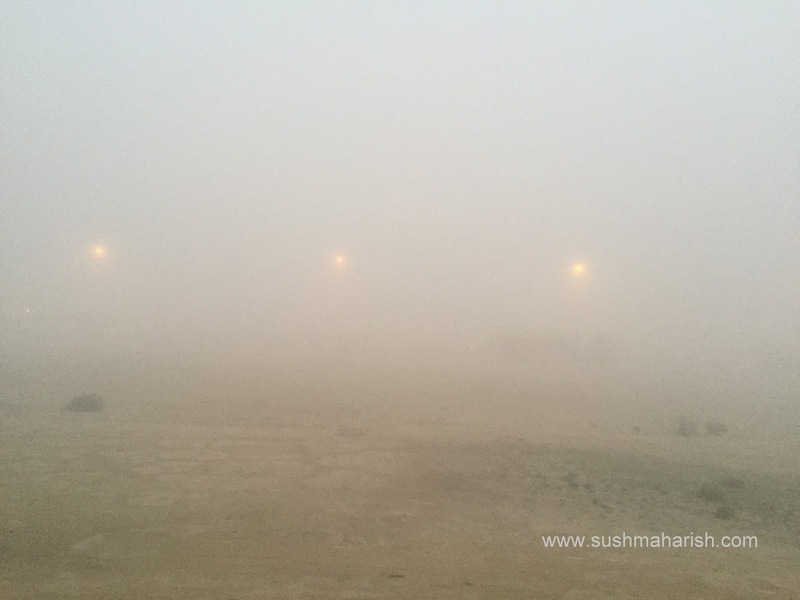 Be it the heat or cold, sand or dust, we have curbed our crave for winters too. Whenever the whether hits to it's extreme, we just pat our chest, breathe full and say "all is well, all is well" , take the best of what nature has offered us and say aloud "NEXT ".